Should the competition be concerned about the new Dodge SRT Demon? Well, to start with the FCA just cannot find new names for there cars apparently. The Demon was a car unto itself years ago but the Fiat owned Dodge is banking on yet another old name to earn some sales. Yes, from all outward appearances the new Dodge Demon will be a faster Challenger than the stock Hemi. Yes it will have some unique items about the car but if you really strip away the fluff you have yourself a Challenger. Nothing wrong with that as the Challenger has proven to be a very quick car with the 707 hp Hellcat engine. Sales were off the charts when first introduced but have slowed down quite a bit of late. So, Fiat was determined to earn back some customers by using a decades old name again to revive the cars standing. I guess they had to do something since Chevrolet announced the nasty ZL1 Camaro that is a stunning creature on and off the track. Ford has there GT350 out there that has won numerous awards and seems to be ready to stand the test of time. Now, we here of yet another GT500 in the making with possibly twin turbo chargers in a eco boost style engine. The V6 is gone as buyers were buying the Mustang for its power and looks. Mopar lovers are clamoring for a two door version of a Charger and it’s a bit mystifying why Fiat has not made that move yet. The Charger would be a hot item once again as a two door car with the Hellcat under the hood. It will make the buyers of say the 2009-2010 Challengers bite there tongue as they watch there cars plummet in value as the new breed of Mopars come on strong. But, I return you to the original point. Should the competition be concerned about the new Dodge Demon? This guy does not believe so. Loyalty still runs deep in the big three. Chevy lovers will need to shell out just over 63k for a ZL1. Ford lovers are writing checks for the current GT350 for about the same price. And third place Fiat is nearly the same for the Hellcat Challengers. 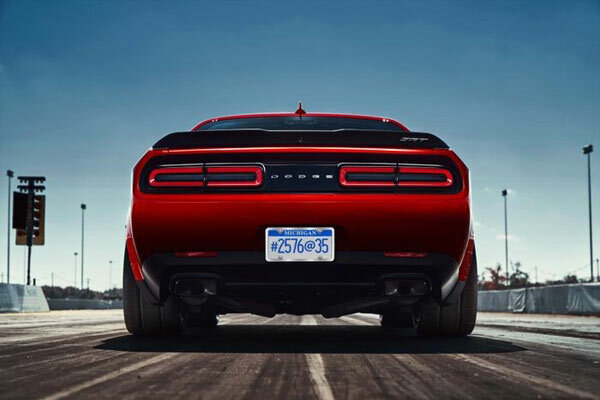 The Demon will add a few bucks to your check but the Mopar lovers won’t mind at all. So, the answer to the question is – No. The competition is good for all three major brands. It forces each of the big three to up there game and leave no stone unturned in the race for your money. We will just need to sit back and watch this battle unfold in the months ahead. It ought to be a good one for sure.